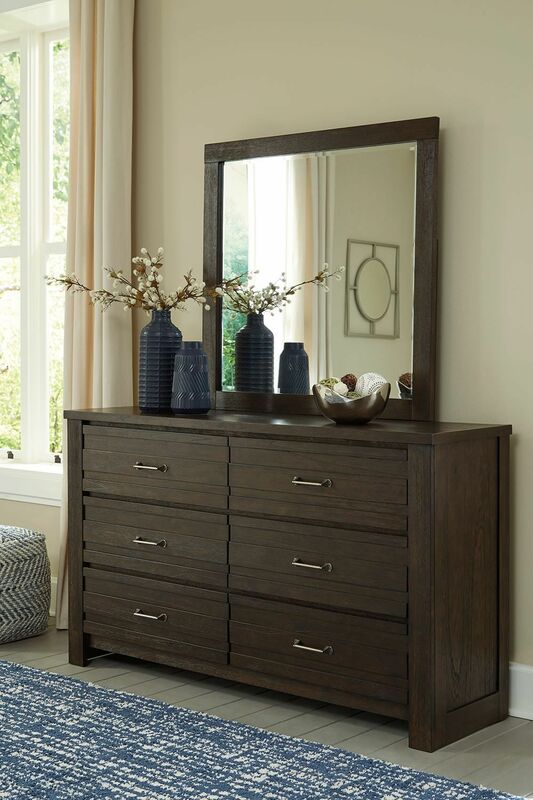 The Darbry Dresser and Mirror Set can offer your bedroom a stunning contemporary vibe while offering spacious storage space for all of your belongings .It's constructed of beautifully blended woods, ensuring lasting durability and use for many years to come. 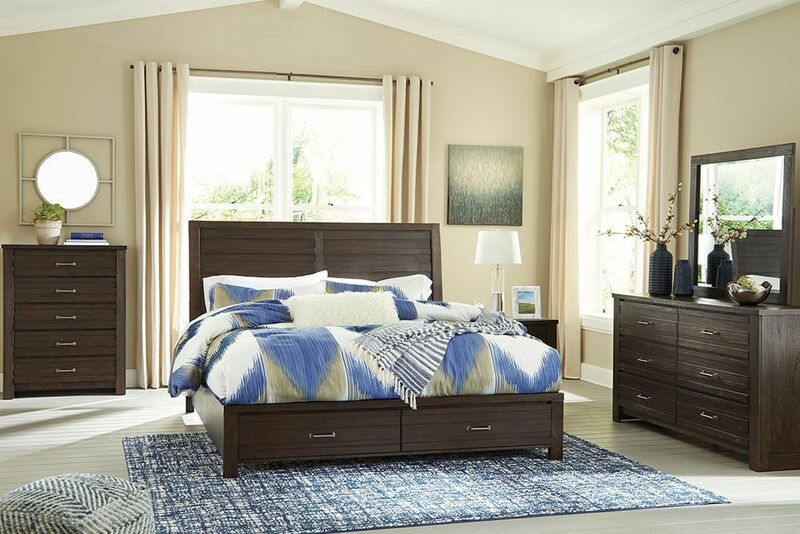 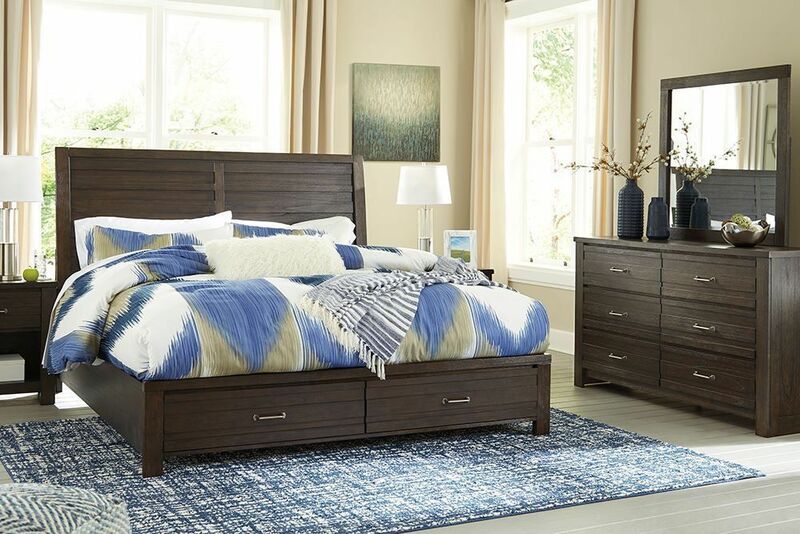 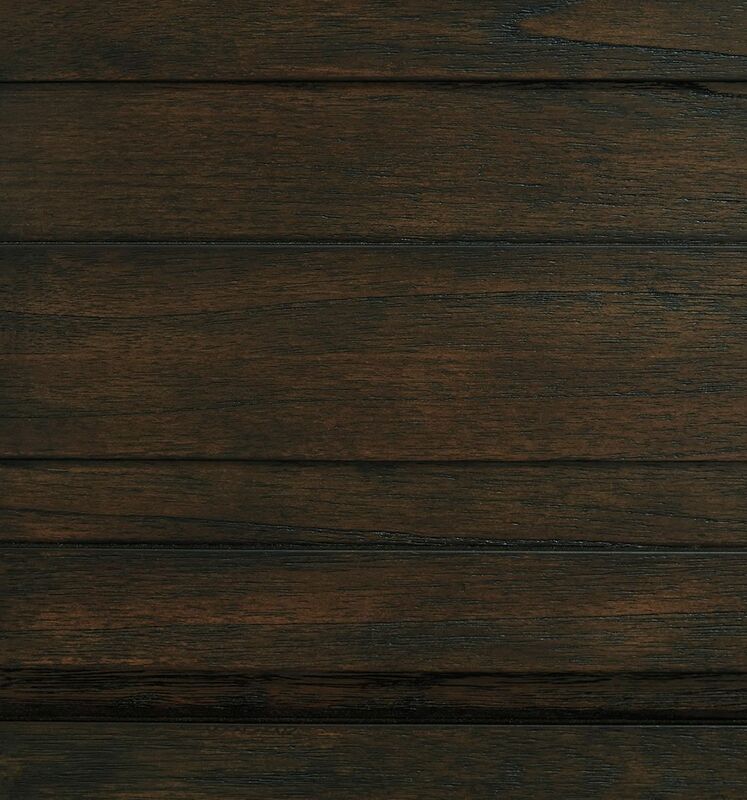 Its sleek and versatile burnished Oak color makes it a perfect match for any style of bedroom, allowing it to blend with any existing pieces you may have. 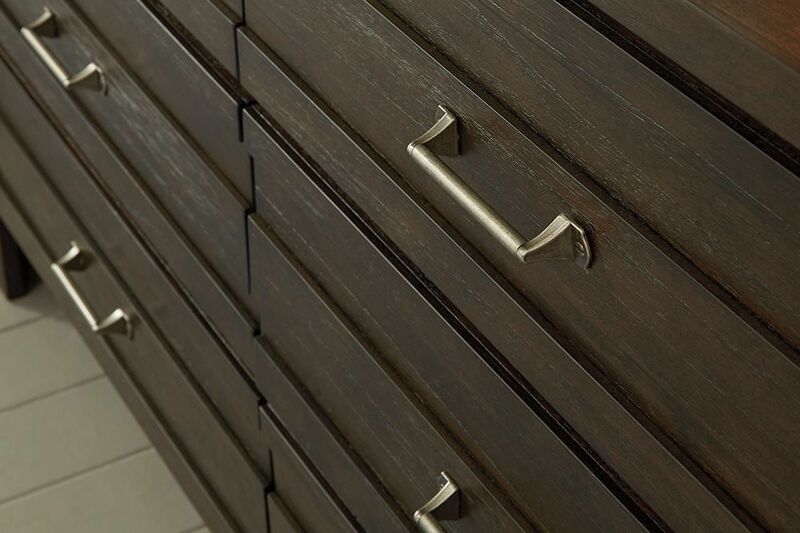 The six spacious drawers feature dovetail drawer construction and are accented by antiqued pewter-tone hardware. 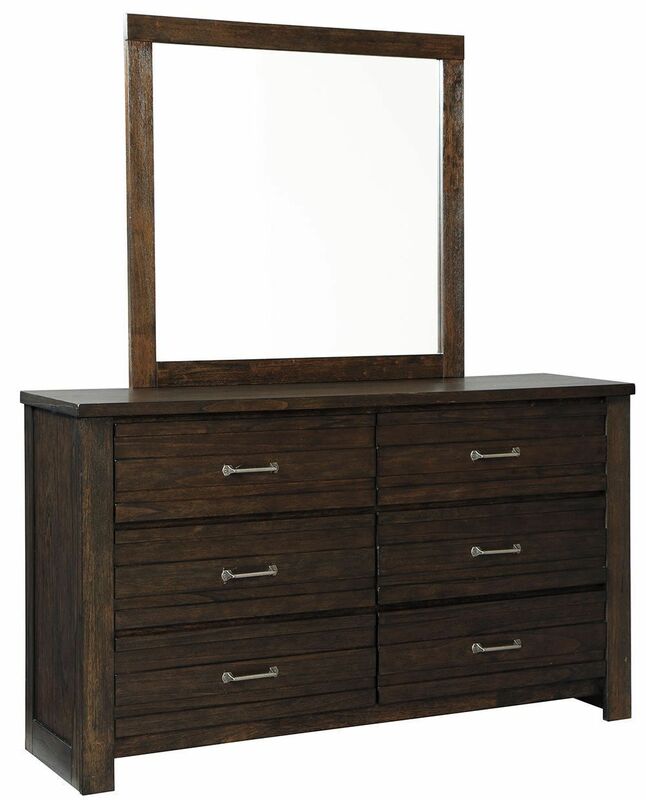 The Darbry Dresser and Mirror Set will offer your bedroom a contemporary vibe with ample storage space.